Our clinic offers a full menu of options for men and women experiencing hair loss or hair thinning. While we are proud to offer the latest in minimally-invasive hair transplant surgery, we also pursue the most unrivaled supplements and vitamins to optimize hair growth. Dr. Ben Talei highly recommends Nutrafol hair growth vitamins, a one-of-a-kind nutraceutical that is specifically designed for the hair. As a 100% drug-free supplement made of powerful plant-based nutrition, Nutrafol has been proven effective for supporting healthy hair growth as well as balancing the body as a whole. It is clinically-tested and optimized for bioavailability to further physician support and patient satisfaction. This all-natural product can be an excellent solution for those experiencing the initial stages of hair thinning as well as those that want to maintain their recent hair transplantation results. When it comes to hair loss, genetics are quickly and commonly blamed. However, Nutrafol is a unique product that addresses the fact that hair loss can be equally influenced by a variety of other factors, including stress, DHT levels, diet and environmental toxins. Nutrafol combines advanced biotechnology with top-grade nutraceuticals to deliver a safe, convenient and effective solution for men and women suffering from damaged hair, hair shedding or poor hair health. If you would like to try a drug-free and non-invasive approach to your hair loss, please schedule a consult at Beverly Hills Center. 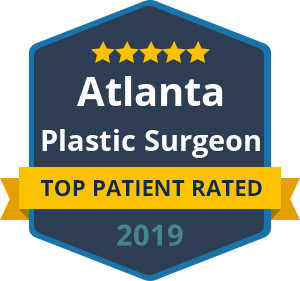 Nutrafol represents the fastest growing nutraceutical supplement for healthy hair growth, and we are proud to offer this treatment guided by a talented and nationally recognized facial plastic surgeon.